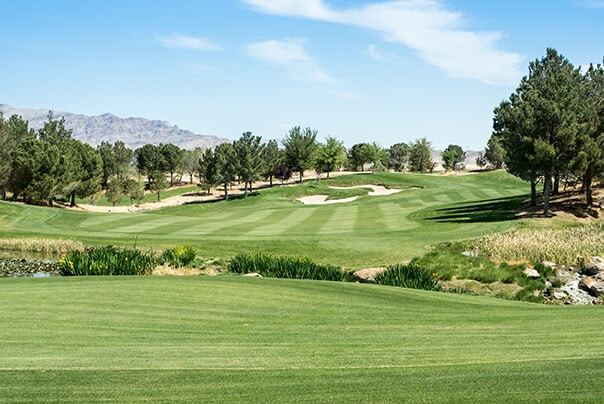 Reflection Bay Golf Club in Henderson, Nevada, selected International Golf Maintenance to provide comprehensive maintenance services as they strive to restore the course to destination resort status. In addition, IGM has contracted to handle all human resources operations for the course and club. Reflection Bay is a privately-owned, Jack Nicklaus-designed, once rated as a Top 100 golf course. After setbacks during the recession, the course re-opened in 2014, and the ownership committed to restoring the property to its previous standards. Golf Course Operations Manager Eric Dutt, who has managed other Nevada resort courses, was hired in July 2017 to lead the process. “The transition has been 98% smooth, better than expected,” said Dutt. “No one missed a paycheck or got shorted.” Another benefit of the arrangement is some operations employees may have opportunities for advancement as a part of IGM. “We are looking to cut costs and create synergy. IGM has two other Vegas courses, which brings economies of scale and opportunities. Our goal is to get back to the Top 100,” Dutt added. To discuss IGM’s business services or a maintenance proposal, please contact Greg Plotner, Executive Vice President, 407-589-7200 or submit a contact form here.